With the price of USDT nearly back to $1, the cryptocurrency market is expected to see an increase in instability. The weak momentum of Bitcoin portrayed by its MACD and other momentum oscillators could lead to the decline in the price of the dominant cryptocurrency in the short-term, despite many of the positive developments the cryptocurrency market have seen over the past several months. Investors expect the launch of the Bakkt Bitcoin futures market in December to trigger a short-term rally for BTC, along with renewed enthusiasm towards the BTC exchange-traded fund (ETF) filing of VanEck, SolidX, and CBOE. According to managing partner at UTR and a cryptocurrency technical analyst, the last time 3-day moving average convergence/divergence (MACD) demonstrated a downside movement, the price of Bitcoin dropped by around 12 to 20 percent. 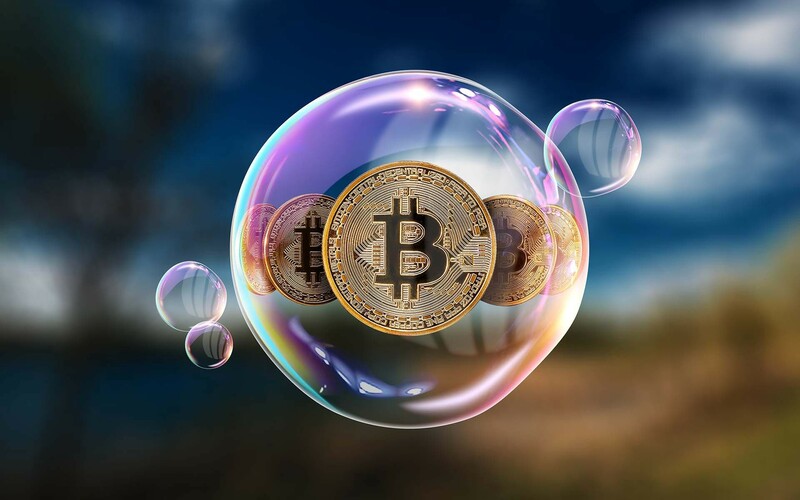 Hence, while a dip in momentum caused the price of BTC to drop by more than 12 percent earlier this year, the 12 percent drop occurred in a higher price range. BTC has remained in the tight range of $6,300 to $6,800 for more than three months to break that range on the downside will require significant sell volume in a short period of time. But, until a major catalyst like Bakkt leads a strong rally for BTC, the weak volume, momentum, and low trading volume of the cryptocurrency market are likely to result in a drop in the price of BTC. 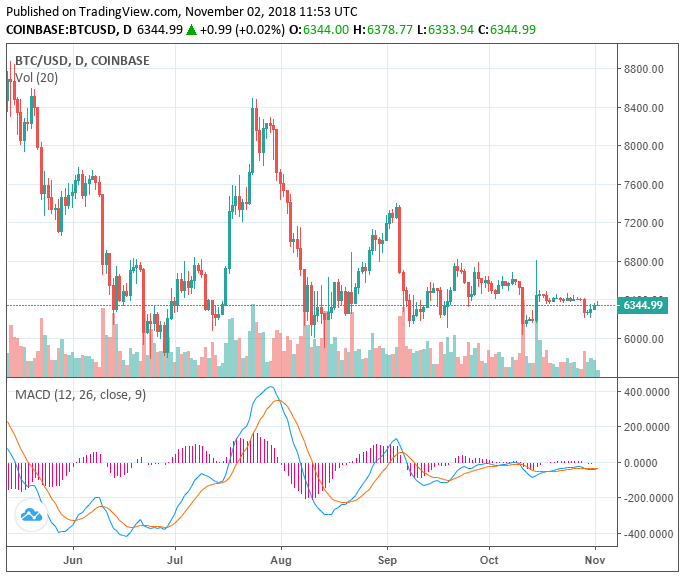 Whether the low momentum of BTC leads to a drop below the $6,000 support level, which BTC has defended quite well since August, remains uncertain. The past price movement of BTC could be used as an indicator for future movements but they do not guarantee an identical movement.